Xavier Nagel Agencies is proud to be the distributor of ‘A handful of hard men-The SAS and the battle for Rhodesia’ written by Hannes Wessels. During the West’s great transition into the post-Colonial age, the country of Rhodesia refused to succumb quietly, and throughout the 1970s fought back almost alone against Communist supported elements that it did not believe would deliver proper governance. During this long war many heroes emerged, but none more skillful and courageous than Captain Darrell Watt of the Rhodesian SAS, who placed himself at the tip of the spear in the deadly battle to resist the forces of R obert Mugabe and Joshua Nkomo. It is difficult to find another soldier’s story to equal Watt’s in terms of time spent on the field of battle and challenges faced. Even by the lofty standards of the SAS and Special Forces, one has to look far to find anyone who can match his record of resilience and valor in the face of such daunting odds and with resources so paltry. In the fight he showed himself to be a military maestro. A bush-lore genius, blessed with uncanny instincts and an unbridled determination to close with the enemy, he had no peers as a combat-tracker (and there was plenty of competition). But the Rhodesian theater was a fluid and volatile one in which he performed in almost every imaginable fighting role; as an airborne shock-trooper leading camp attacks, long range reconnaissance operator, covert urban operator, sniper, saboteur, seek-and-strike expert, and in the final stages as a key figure in mobilizing an allied army in neighboring Mozambique. After 12 years in the cauldron of war his cause slipped from beneath him, however, and Rhodesia gave way to Zimbabwe. When the guns went quiet Watt had won all his battles but lost the war. In this fascinating work we learn that in his twilight years he is now concerned with saving wildlife on a continent where they are in continued danger, devoting himself to both the fauna and African people he has cared so deeply about. This is a must read for anyone interested in African history and conflict situations. It was written in the political context which will appeal well beyond military readership. Murray and Me idiom series now available! The second book in the Murray & Me idiom series, “Hetta Elizabetta en die Wêreld op haar Skouers” (Hetta Elizabetta and the world on her shoulders), has just been released and is an essential addition to every child’s bookshelf. The book was written by actor Milan Murray and is colourfully illustrated by Marisa du Toit. The increasing absence of idioms from the world of children was the motivation for the series. This latest book was written in rhyme with the focus on alliteration, assonance and metre. 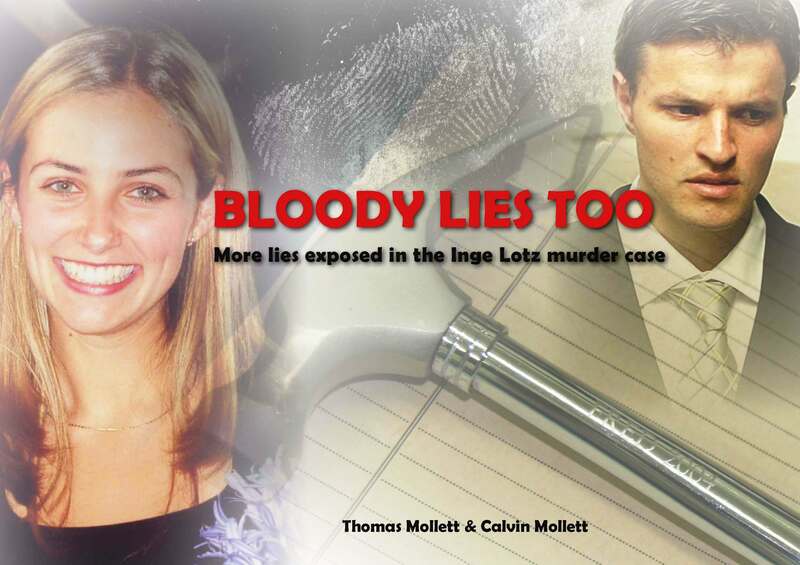 The first idiom book, “Pieter Kokkewieter en die Hart op sy Mou” (Pieter Kokkewieter and the heart on his sleeve) was published last year and has already sold some 2 000 copies. The Murray&Me idiom series comprises picture books ideal for 6-9 year olds. The stories attempt to introduce Afrikaans idioms to youngsters as a way of encouraging conversations about life skills and values. Its characters are young children who experience and question the world around them, which resonates especially well with young readers. The publishers are Milan and entrepreneur Charmaine Nolte, who launched their children’s book company Murray&Me last year. The series has already been adopted by subject advisors at schools who recognise the value of the idiom and how it is too often underestimated and excluded from learning programmes. Linda Bredenkamp, a curriculum advocate and Grade 5 teacher, was the language advisor on the idiom project. She started using the Hetta manuscript in her classes before the book had even gone to print. In “Hetta Elizabetta en die Wêreld op haar Skouers”, an enormous world of problems and anxiety weighs heavily on the shoulders of seven-year-old Hetta. “Sy wonder – Kry branders ook seer as hulle breek? En wat gaan als swel as ’n by haar sou steek? Het ’n woonstel of ’n huis? Wat sy stoksiel-alleen op haar skouers moet dra. The third book in the series will be available towards the end of next year and with focus on the idiom “Kop in die Wolke” (Head in the Clouds). Milan Murray is a well-known actor and TV personality. She trained in Pretoria and New York, and features regularly in television series and stage productions. She was the anchor presenter for KykNet’s Afrikaans language breakfast show, “Ontbytsake”. Her filmography includes numerous student productions in New York as well as Mooirivier in 2013, Van lyn af in 2014 and Die Muse in 2015. In 2010 she published her motherhood journal “Koemelaat” and in 2015, her first children’s book “Pieter Kokkewieter en die Hart op sy Mou” with illustrator Marisa du Toit. Marisa du Toit is a trained dancer and artists. Numerous exhibitions of her art include amongst others a solo exhibition in Ras Al Khaima in Dubai and co-ordinated by Darcy Harris in the US. Since her family’s return to South Africa seven years ago, she has exhibited full-time while illustrating for books and magazines, and teaching art. Her work adorns various galleries. Charmaine Nolte is an entrepreneur and the founder of the children’s book company Murray&Me. With over 10 years’ experience in online sales, her vision to produce quality children’s books led to the birth of the Murray&Me idiom series. As a mother of two, she appreciates the importance of literature and language development in young children, and she strives to create stories that are both entertaining and educational. The incredible bo ok ‘Ons Camino’ written by Pienkes du Plessis has been reviewed in the latest issue of Sarie and he has been interviewed by Weg! Click on the links below to read the article and interview and do yourself a favor…buy a copy of the book TODAY. 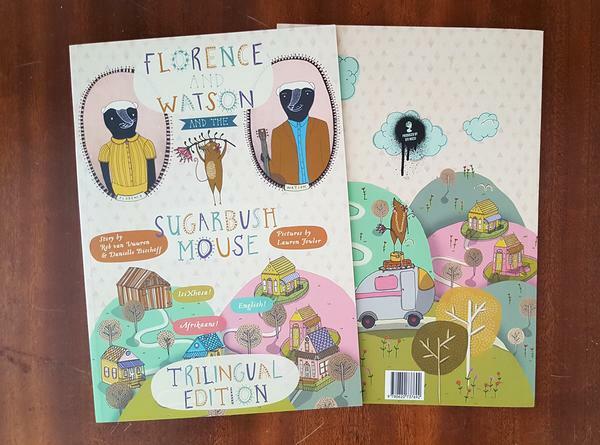 Florence and Watson and the sugarbush mouse-Trilingual edition!! Something new has hit the shelves (no it’s not a lost pigeon struggling to find the open window), it’s the latest offering from Rob Van Vuuren, Danielle Bischoff and Lauren Fowler! Florence and Watson and the sugarbush mouse is a whimsical South African story told (in English, Afrikaans and IsiXhosa) by Florence and Watson, two honey badgers who use rhythm and rhyme to tell the story of Petal – the sugarbush mouse who saves her village with her unique talents. The little striped mouse undergoes a transformative journey, discovering her hidden talent that is set to save Sugarbush Mountain and the Proteas that grow there. This is a story filled with magic and laughter and is the ultimate must read for families everywhere. We at Xavier Nagel Agencies are very proud to announce that we are fully prepared for the zombie apocalypse! We are not only reading the amazing self help books penned by Lee Herrmann, but we are also distributing them and thus ensuring that as many people as possible know what to do and who to eat. If you need to know what to do while stuck watching your friends prepare the afternoon braai without meat in sight, or if you want to know if Zombie green is in this season or you’re wondering if you still need to wait 12 hours at Home Affairs for your unabridged birth certificate (when you are technically dead), then The South African zombie apocalypse survival guide is a must read. Journal of a South African zombie apocalypse is an intriguing journal written by a sixteen year old which is recovered five years after the apocalypse. A father and his two sons leave the comfort of their home in Pretoria seeking sanctuary away from raiders, religious zealots and zombies. They travel across the country towards Robben Island and in their quest they befriend fellow survivors who encourage them to face this brave new apocalyptic world. Will this family survive against the largest battle known to man….a fight against the walking dead? Let’s not forget Zombie ZA which is an essential guide on how to act undead in South Africa. This book is filled with tips on how to appear normal; which includes how to avoid having to eat cooked food, how to brush off odd questions and provides support to those eagerly waiting for the apocalypse. This guide helps you to gently break the news to your family and is crucial to your suburban survival. You’re alive. Then you’re dead. Then alive again…? Being a zombie in modern day South Africa comes with its own set of problems. How do you act at a braai? How do you tell your family? Zombie ZA is your guide to coping with being undead in SA, while biding your time until that pesky Apocalypse catches up with you. Stuffed with tips for the recently reanimated and tricks for the undead, we help you to hide in plain sight without anyone noticing that you’re dying to take a bite out of them! All in an easy-to-understand volume for the living impaired!